If you have ever spoken to anyone in the Greater Vancouver Area, or perhaps had internet access at some point, you have probably heard about Vancouver's affordability problems. But why does that new condo cost so much? We have already talked about what is driving up the prices on houses, so this articles focuses on what determines the cost of your new condo. What Drives New Condo Apartment Prices? With the cost of construction being on par with other major Canadian cities, it must then be the cost of land that is driving new apartment prices in Vancouver. 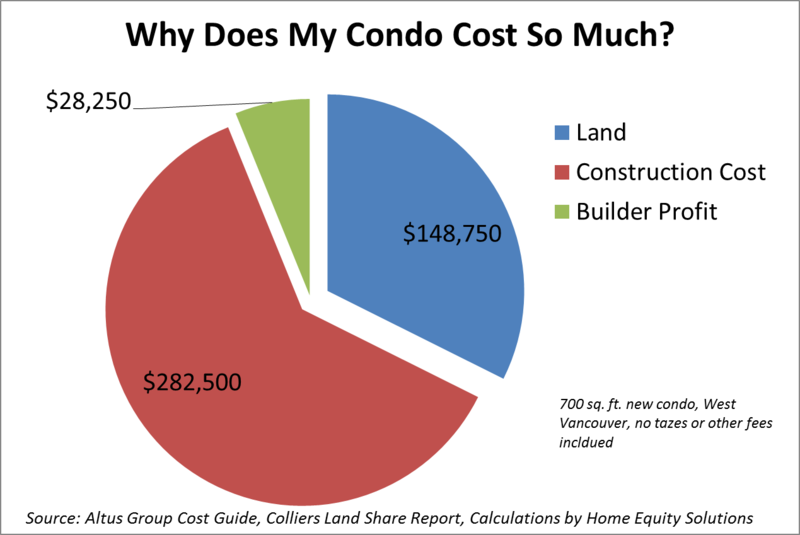 How Do Land Costs Vary Across the Vancouver Area? In New Westminster, however, the cost of land is just over $50 per buildable sq. ft., contributing very little to the total cost of the unit.